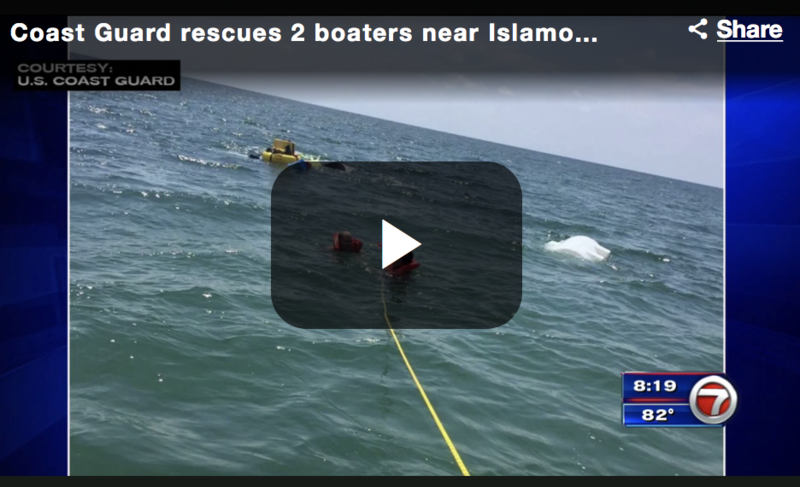 A U.S. Coast Guard crew came to the rescue of two people after their boat capsized near Islamorada. Rescuers were alerted about the overturned vessel near Whale Harbor by the Florida Fish and Wildlife Conservation Commission. Officials said both boaters were wearing life jackets and are going to be OK.